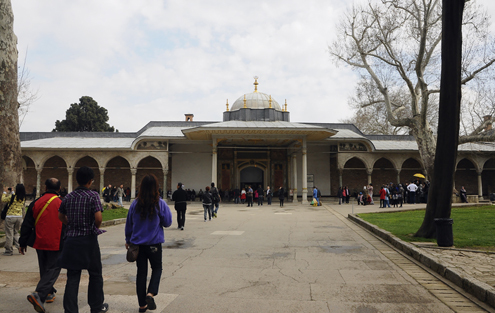 Topkapi Palace (Topkapi Sarayi) was the main residence for the sultans of the Ottoman Empire from the 15th- to the 19th-century. 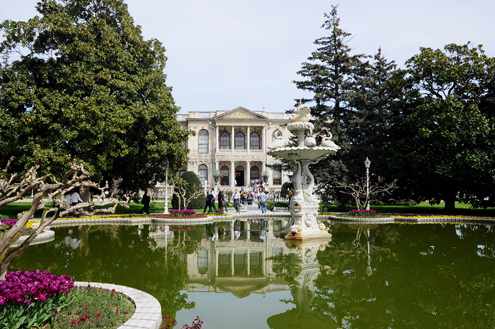 Its unique architecture, beautiful courtyards, and incredible collection of treasures make Topkapi Palace one of the top sights in the city. 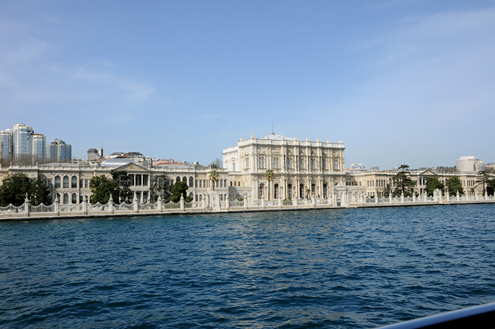 Built in the mid-1800s along the Bosphorus, Dolmabahçe Palace (Dolmabahçe Sarayi) served as the administrative center of the late Ottoman Empire as well as the home for some of the last Ottoman sultans. 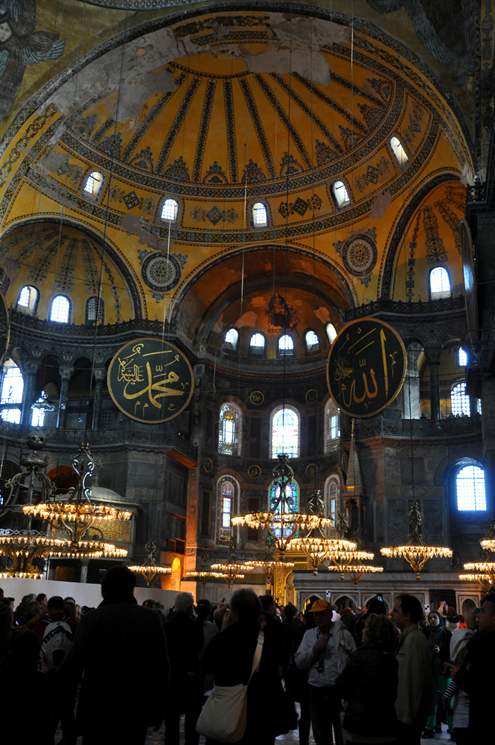 The Hagia Sophia (Ayasofya), a Christian church-turned-mosque-turned museum is considered one of the world’s greatest buildings. This impressive Byzantine structure, with its magnificent domed ceiling, vast interior, and glittering mosaics, was completed in AD 537. 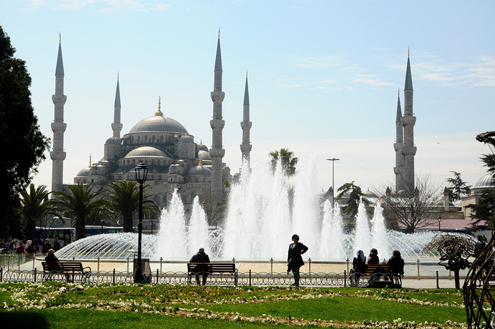 Widely known as the “Blue Mosque” for its blue tiled interior, the Sultan Ahmed Mosque (Sultanahmet Camii) is one of a few mosques in the world with six minarets. 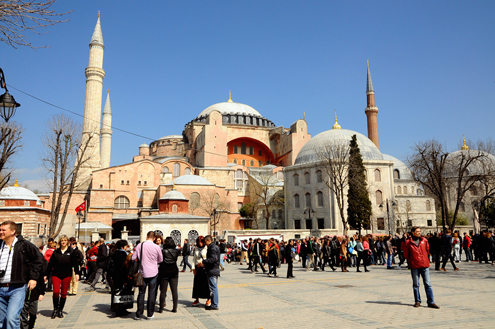 This striking structure was built in the early 1600s just south of the Hagia Sophia. 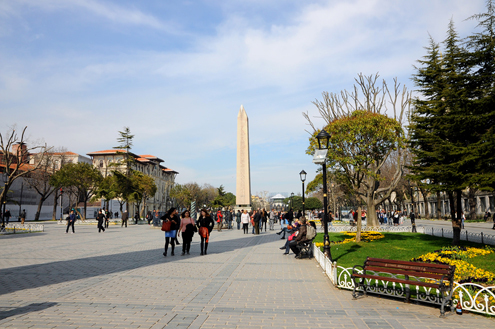 The Hippodrome was once the gathering place and sporting center of the city. 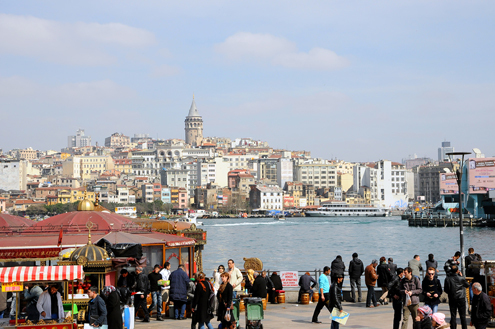 Usually associated with Roman Emperor Constantine, it was originally built by Emperor Septimius Severus in AD 203. 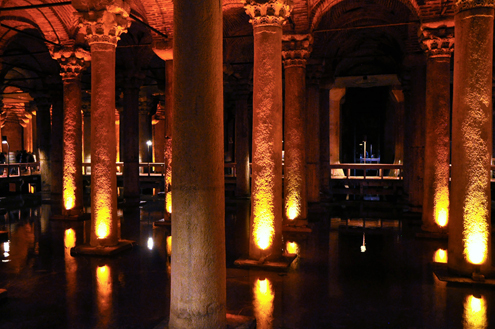 The impressive, column-filled Basilica Cistern (Yerebatan Sarayı) lies beneath the city of Istanbul. Constructed in AD 532, the cistern provided water for the Great Palace of Constantinople (which no longer exists today). 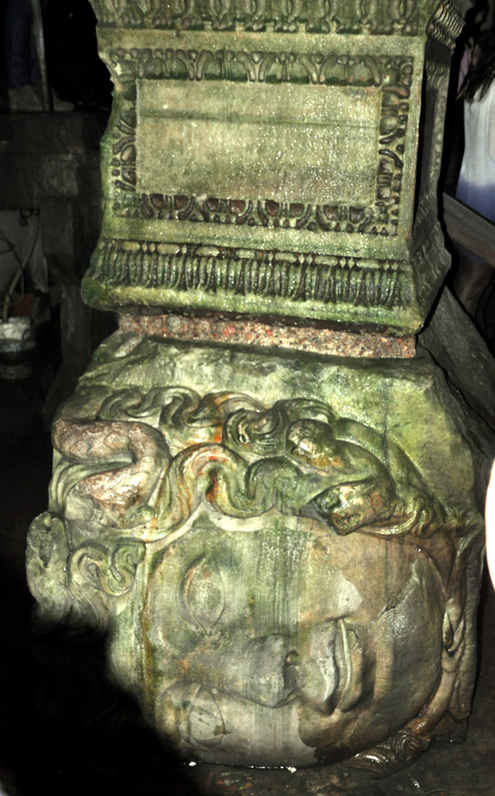 Of its 336 columns two are supported by stone-carved heads of Medusa, their origins unknown. 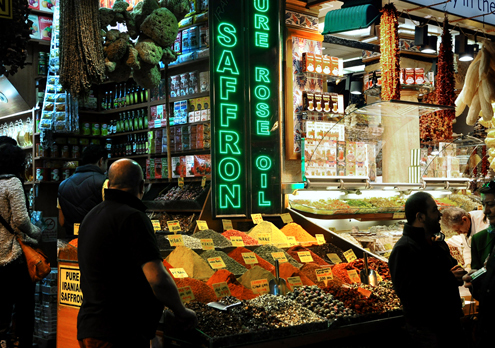 The massive Grand Bazaar (Büyük Çarşı) is one of the largest covered markets in the world. 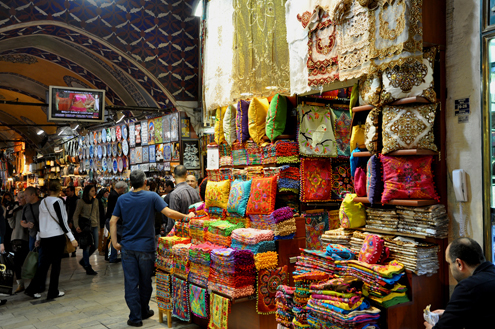 It is a labyrinth of shops selling everything from jewelry, textiles, pottery and, of course, souvenirs. 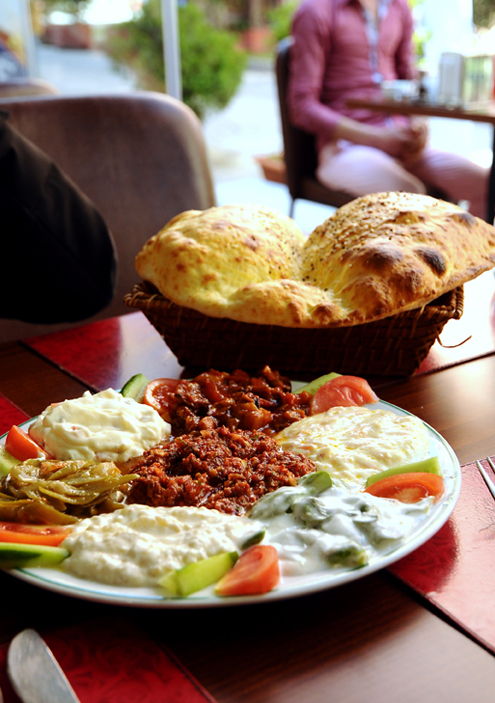 Lavas “puffy” bread with various dips and vegetables—a delicious way to end a fabulous trip. 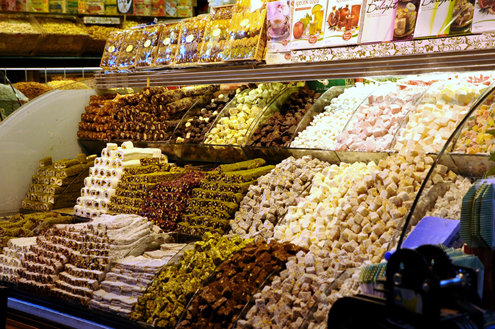 Teşekkürler, Turkey!